Bangalore has a number of Pre-University Colleges teaching various courses. Here, in this article, we have talked about some of the best pu colleges in Bangalore. Pre-University Colleges (PUC) are the most popular choice after Xth. After the Xth board exam, the most important exam a student has to appear is for XII. As soon as the students finish with their secondary examinations, parents and the students start to hunt for colleges. But one has to be very careful in choosing the right college, as this can be the turning point of a student’s career. After completing the PU course, there are an endless number of opportunities available for the students. However, it should be noted that 2013 was the last batch of 2nd PUC state board. Now all pu colleges in bangalore have switched over to CBSE curriculum and the students are taught books similar to students studying in CBSE schools. Also, the exam is conducted by the state board and the result is announced by the Pre University Department, Government of Karnataka. PU Colleges in Bangalore are spread across every residential area. Did you finish your Xth and confused which PU college to opt? Here, I will list top 10 pu colleges in bangalore, that I believe are from the best of the best. 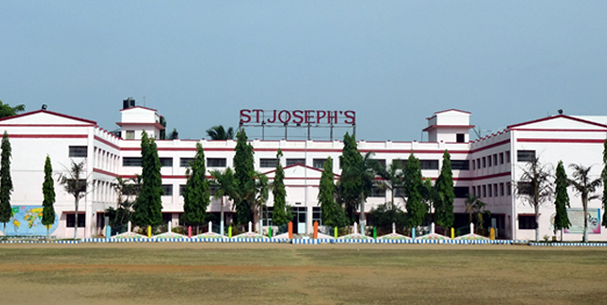 St Joseph imparts quality education and provides best professional courses. It isn’t just preparing students for professional courses, but also trains students to face life with its joys and sorrow. They have well qualified and friendly faculty, who have an excellent dedication for teaching. Discipline is the what the college believes in. The campus of the college has good infrastructure and is clean and provide a conducive atmosphere for study. Apart from studies, they organize various programs to showcase the talent among students. The selection process in this college is on their aggregate marks scored in the qualifying exams, performance in the interview etc. They maintain certain selection criteria like PCMB: 85%, PCME: 89%, PCMC: 88%, CEBA, PEBA, MEBA and SMBA: 75%, HEP: 50%. Location : PB.25003, Field Marshal Cariappa Road, Bengaluru. Mount Carmel college, Bengaluru is a famous institution primarily for Women. It was established on 7th July 1948 and the institute is run by the Carmelite Sisters of St. Teresa. The infrastructure of campus building is well equipped and has upgraded facilities. Earlier it was affiliated to Mysore University, later in 1964 it became an affiliated college of Bengaluru University. Mount Carmel College is virtually located in the heart of Bengaluru. Location: No. 58, Palace Road, Bengaluru. Bishop Cotton Women’s Christian College is institutions for women that strives to give the best education to women across the nation. This was established in 1985 by the Karnataka Central Diocese, Church of South India with a mission to serve the educational needs of women in our society. The staff are well qualified and impart quality education. The major principles of this college are character formation, academic excellence, and service to the student community. This is the best institution committed to the women’s education and uplifting of the Christian community. The college has excellent infrastructure, has state of the art facilities. They have 5% seat reservations for ICSE, CBSE students. Location: #19, 3rd Cross, CSI Compound, Bengaluru. Baldwins Women’s Methodist College (BWMC) was established in 1995 in Bengaluru and is managed by the Methodist Church in India. The college encompasses adoring and dedicated principal, excellent teaching staff, cordial housekeeping staff, and most importantly a herd of dynamic students. The main perspective of the college is to provide the finest academics and holistic development. The motto of the college is to build up country’s young women to face the challenge of character and culture. They have 50% seat reservations for ICSE and CBSE students. Location: #90, Richmond Road, Bengaluru. 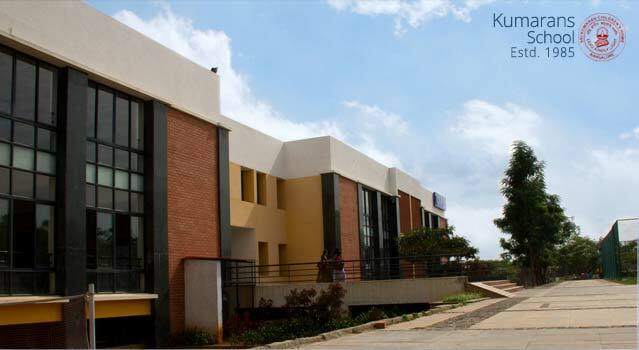 Christ Junior College is a premier educational institute in Bengaluru, which offers excellent Pre-University education. It was established in 1969 by Dharmaram College under Christ Educational Society. The teaching staff is very skillful and competent with the latest development of society. The teaching methodology of this college is primarily student-centric, where they guide students in various fields and boast them to be better performers. The college is affiliated to Bangalore University. Initially, the institution began to offer Pre-University and Undergraduate courses to students and now broadened to include Postgraduate and Diploma courses in the academics. Shri Bhagawan Mahaveer Jain College was established in 1990 by Dr. Chenraj Roychand with an enrollment of 36 students, today they have about 5500 Pre University students, 500 undergraduate students and 1000 postgraduate students within 4 campuses. They provide an excellent platform that encourages a professional attitude in students towards careers of their choice and motivate them to become men and women of character capable of making positive contributions to the society. The campus is well equipped has the best infrastructure, where each classroom is housed with centralized air conditioning facility. Jain College has involved in various innovative programs apart from teaching the regular curriculum. These programs have been carefully designed to provide students a clear edge in placement or further education. Jain College provides 4 main learning branches, V V Puram Campus, J C Road Campus, Jayanagar Campus & R R Nagar Campus. Location: 91/2, Dr A N Krishna Rao Road, V V Puram, Bengaluru. Jyothi Nivas Pre-University College established in 1966 is a minority Christian College founded by the Sisters of St. Joseph of Tarbes. It is affiliated to the Bangalore University and provides education in the field of Liberal Arts, Science and Commerce. The College is accredited by NAAC with a five-star grade in 1999. The faculty has a strong commitment towards teaching while employing the best of innovative methods and technology in their teaching practice. The Mentor-Ward system, one of the outstanding practices of this institution, promotes and sustains a strong one-on-one interaction between teachers and students in an atmosphere of care and concern. M. E. S. Kishora Kendra Pre-University College is one of the famous and old colleges in Malleswaram. It was started with Pre-primary education level in the year 1979. In 1993, it was promoted as the M.E.S.Kishora Kendra Pre-University College functioning in the campus called Brahmi. This is very well recognized college by the Dept. of Pre-University Education, Government of Karnataka. The Pre-University College aims at giving quality education to students and helps in the holistic development of the students. They also encourage students to participate in personality development activities like NCC, NSS, Sports and cultural activities. Location: 10th Main, 15th Cross, Malleswaram, Bengaluru. 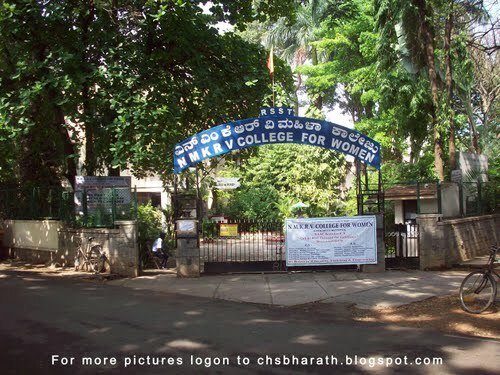 NMKRV College For Women is located in the cosmopolitan area, Jayanagar. It was established 1971 as Pre-University College and upgraded as Degree College in 1973. The college granted autonomy by UGC and approved by the Government of Karnataka. The college is permanently affiliated to Bangalore University and accredited by NAAC with A grade. The college has been functioned by Rashtreeya Sikshana Samithi Trust. It is a premier institution, that offers value-based education, is a landmark for quality education in Bangalore South. The college educates women to face the world, and has produced a record number of alumni who hold the college’s name high across the world. Location: Jayanagar 3rd Block, Bengaluru. Kumarans PU college is one of the prestigious institutes of Karnataka. It was established in the year 1990, and sustain to provide distinction education in Science and Commerce. The college holds the motto of “Lead Kindly Light“. The college visions of turning out intellectually enlightened, morally upright, spiritually inspired, emotionally balanced and socially committed individuals. The staff is friendly and provide a competitive environment. The college, housed in multi-storied building facilitates learning with well-ventilated, spacious classrooms and a well-stocked library. Location: N0. 1/1A, 28/29, VI Cross, Brindavan Layout, Padmanabhanagar, Bangalore, Karnataka, 560061, Sri Kumarans College Rd, RR Layout, Padmanabha Nagar, Bengaluru. These are the best pre-university colleges in Bangalore. The information, however, is provided with the sole purpose of awareness and the above-mentioned order should not be taken as the rankings. The information is collected from the various reputed sources over the internet. However, for any mistake we should not be held responsible. Let us know in comments section if you have any queries or if you want suggestions about the best colleges according to your marks or interest. I will try my best to solve that for you.